Boom! Studios' fan-favorite and critically acclaimed comic book series, Lumberjanes, is coming to the big screen in a live-action feature at 20th Century Fox. 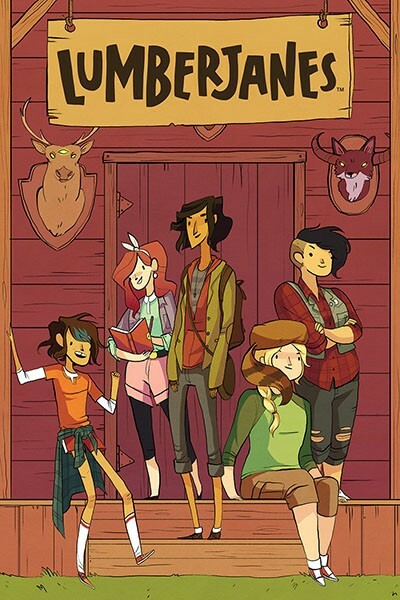 Created by Shannon Watters, Grace Ellis, Noelle Stevenson and Brooke A. Allen, the all-ages series follows the humorous and strange encounters of supernatural proportions for a group of girls at summer scout camp. The Wrap first reported the scoop with Will Widger (The Munchkin) being tapped to write the screenplay. Boom! Studios executives Ross Richie, Stephen Christy and Adam Yoelin will produce the movie, along with Fox execs, Kira Goldberg and Ryan Jones.